I am in the habit of chanting, morning and evening. In the morning I think about the day ahead and how I will behave – my attitude to people and my job, or the tasks I must undertake. In the evening I review my day and determine to do better and acknowledge anything good. This morning, while chanting, I was thinking about my husband, whom I love dearly but who sometimes receives the wrong end of my tongue. I’m not snappy but I am critical, and he doesn’t deserve it. It’s a bad habit and I regularly determine during my chanting, to be more tolerant and kind. Sadly, being judgemental is in my karma so overcoming it is quite a challenge. In the course of my chanting, this morning, apart from dwelling on my shortcomings and forgiving myself, and determining to do better, I drifted into thinking about my novel (this happens. It’s hard to keep focused when you are a natural dreamer). 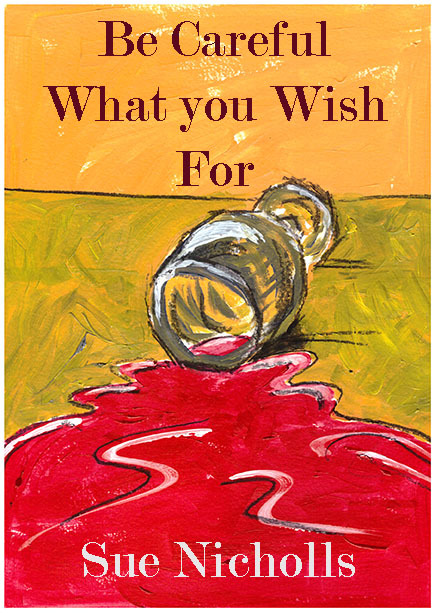 The latest product of my imaginings is the sequel to Be Careful What You Wish For and I have been pondering its title. I have an idea to call it Opening the Can – as in can of worms. I recently painted the illustration on the cover of Be Careful What You Wish For, but with this title, I was concerned about my worm-painting skills. Was I up the the challenge of painting a spilt can of worms? With this in mind, as soon as I had uttered my final Nam Myoho Renge Kyo, I went straight to my laptop in search of images of worms. Oh what a lot there were, but I skimmed over them, dozens of them, until one photo caught my eye. 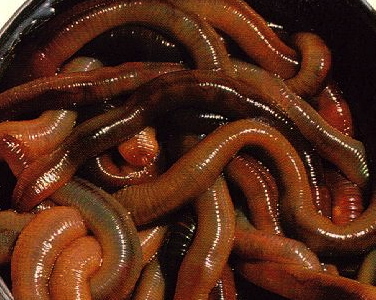 The worms were nice and big and juicy with lots of glistening highlights. I clicked on the image. It lit a light bulb. Such a simple sentence, easy to carry with me and act on when I find myself frustrated by the oh so many, insignificant things that clutter my day. The untidy school library (why don’t the children have more consideration and the teachers educate them better?) The toilet roll tube left on the window ledge in our bathroom, not thrown in the bin (such a simple habit to get into, Do my family expect me to do it every time?) The dishes beside the empty dishwasher (blooming teenagers!) The interruptions while trying to write (enough said). The above are what we now refer to as ‘First World Problems’. To a homeless person living on city streets, or a Syrian refugee fighting for his life on a leaky , overcrowded boat, they are but nothing. A luxury. I have heard it mooted that Nichirin Buddhism is a Middle Class faith, but I happen to know that this is untrue. In Japan, after Hiroshima, and more recently, the tsunami, people were left with nothing. Nichirin Buddhism held its followers together and drove them to continue their fight to build a new future. You could call my worm experience a coincidence or the intervention of the Universe known as The Mystic Law. Whatever you choose to think, this was a heck of an enlightening moment. This star-forming region, captured by NASA’s Spitzer Space Telescope, is dominated by the bright, young star IRAS 13481-6124 (upper left), which is about twenty times the mass of our sun and five times its radius, and is surrounded by its pre-natal cocoon. It is the first massive baby star for which astronomers could obtain a detailed look at the dusty disk closely encircling it. The research provides direct evidence that massive stars do form in the same way as their smaller brethren. From this archival Spitzer image, as well as from observations done with the APEX 12-metre sub-millimetre telescope, astronomers discovered the presence of a jet, hinting at the presence of a disk. This was then confirmed by observations made with the European Southern Observatory Very Large Telescope Interferometer. 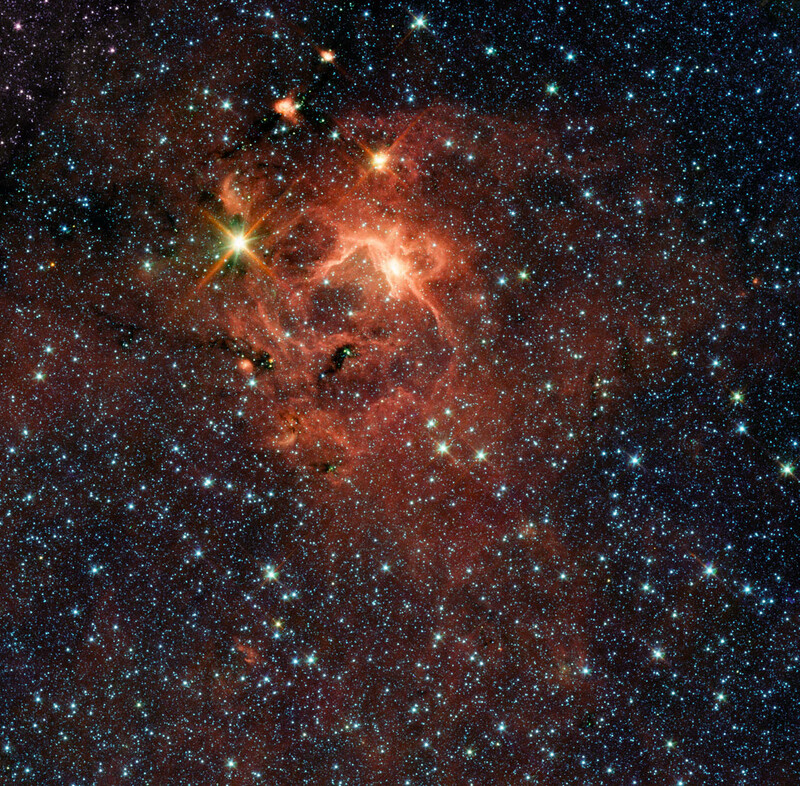 This picture was taken with Spitzer’s infrared array camera. It is a four-color composite, in which light with a wavelength of 3.6 microns is blue; 4.5-micron light is green; 5.8-micron light is orange; and 8-micron light is red. Dust appears red-orange and most stars are blue, though ones deeply embedded within dust (like IRAS 13481-6124) take on greenish-yellow tints.